The dangerously close co-stars are very close again. It has been a long time since the making of legendary Titanic, but Kate and Leo have always stayed close friends. 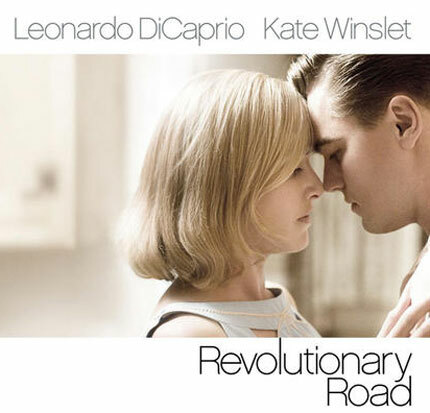 The Revolutionary Roads brings the two back to each others arms and the entire movie is set by Sam Mendes – Kate’s husband. I can imagine how unavoidably awkward filming love scenes can be. While cameras roll, lights shine down and the director shouts out instructions the two supposed to show intimacy. Now imagine the same situation for Winslet, except it’s not a stranger but her best friend, and her own husband is directing them both. Love and misery connects Kate and Leo in the movie. Their marriage slowly turns into delusion. 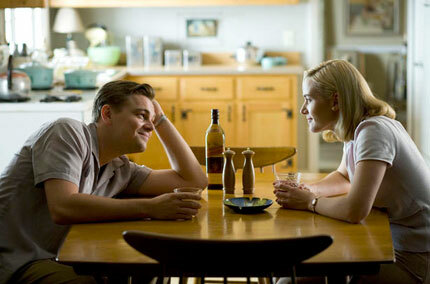 1950s-set film Revolutionary Road sees Frank (DiCaprio) and April (Winslet) share a passionate kiss reminiscent of their on-screen romance in the 1997 blockbuster. Directed by Winslet’s husband, British film-maker Sam Mendes, the film is based on the 1961 novel by Richard Yates and set in New York and Connecticut. It took Kate Winslet more than two years to coax Mendes and DiCaprio to come aboard. – recalls Mendes, who made his directing debut with 1999’s Oscar-sweeping American Beauty. The film is due for release in the US on December 26 and in the UK on January 30 next year. Last night, the Titanic stud was spotted hamming it up at the big New York City premiere of his new movie Body of Lies, held at the Frederick P. Rose Theater. 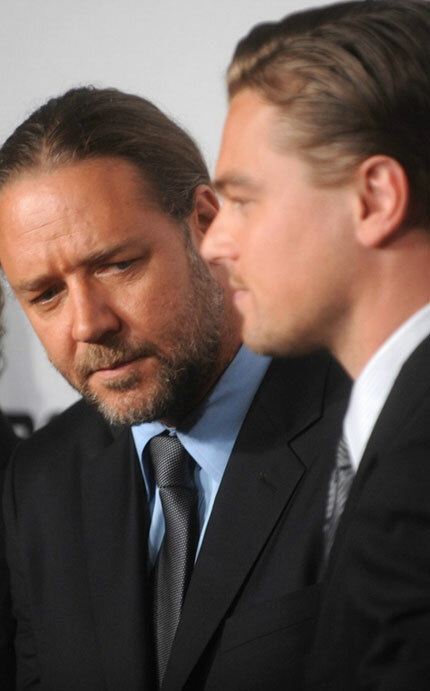 He was looking fine in a black suit with a white button-up shirt and a black and silver striped tie as he posed alongside his hunky bearded co-star Russell Crowe.